Gasman Callum Walker took the Nexgen/Nupave QuickTime award with a 14.944 in round 10 !! 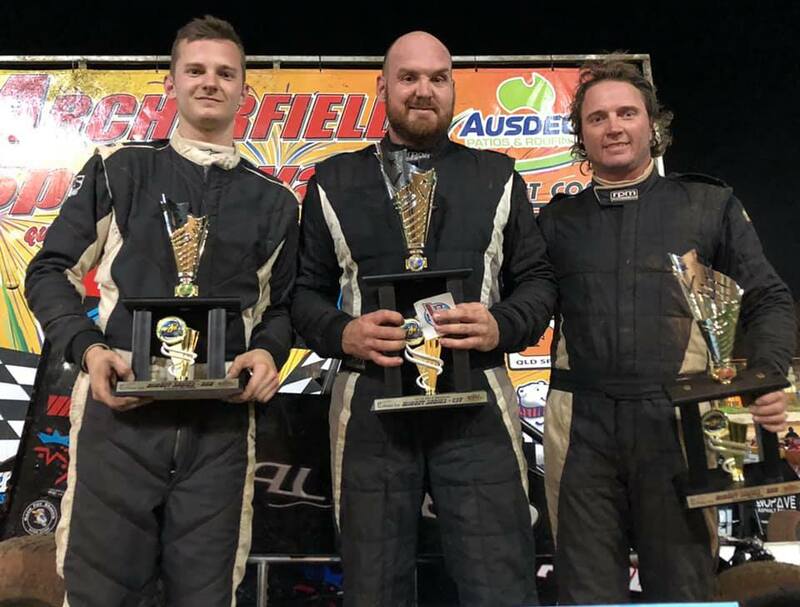 While Brock Dean took out the recent round 10 feature event in the prestigious Polar Ice Midget Series at Brisbane’s Archerfield Speedway it was young gun Rusty Whittaker claiming his 2nd Polar Ice Series Crown with a third place at the chequered. 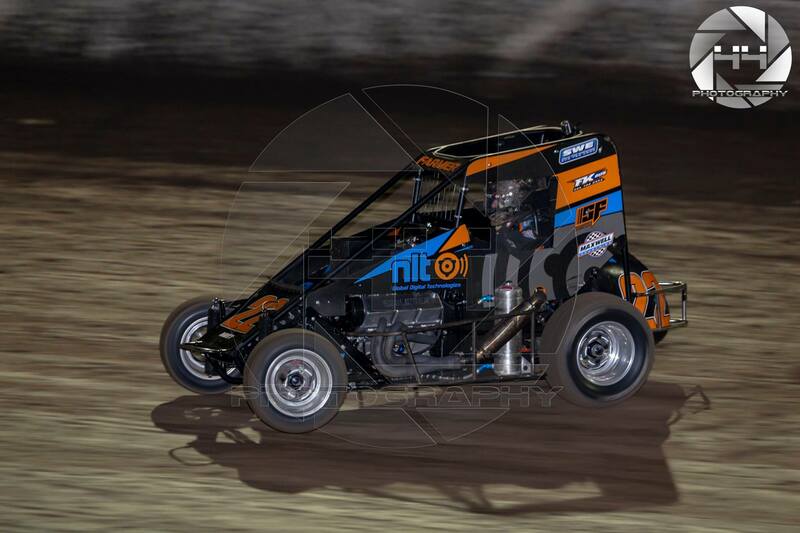 Former Sprintcar star Callum Walker took out the nights Nexgen/Nupave QuickTime Award with a 14.944in the IBRP 35Q Cool Chassis Esslinger. Bodie Smith in the 77Q Smith Brothers Racing Spike grabbed a heat race win in the opening stanza followed by the 51Q United Waste Services Eagle of Tim Farrell and Brock Deans Aliweld King 8Q crossed in third, Bradley Harrison, Cal Whatmore Jnr, Scotty Doyle and Tony Stephen rounded out the field in the 8 lapper.The RJR Kitchens Spike Esslinger of Mitchell Rooke romped home for the win in heat two smacking down a speed of 103.433 KPH ahead of TPC Earthmoving 45Q Eagle of Tom Clauss and the GSA Advanced Machining Spike of Brad “The Bandit” Dawson, Rusty Whittaker, Scotty Farmer, Chris Singleton, Callum Walker and on debut in the Midgets we saw Zac MacDonald round out the field. The nights “crash action” began in the third race, we saw a very unfortunate meeting with the main straight wall for the 45Q Clauss rocket and after a series of tumbles down the concrete Scotty Farmer also copped a whack along the way. Both cars eventually coming to rest as both guys emerging unscathed however the same could not be said for the 45Q car and they were done for the night. On the restart Rusty Whittaker in the 89Q Polar Ice Boss Esslinger took the win over Chris Singleton in the 46Q Nexgen Aggressor and third place Brad Harrison who was incidentally limping home a much wounded Nupave Bullet Yaris after a bingle with the Farrell car in turn two. Riki Harrison was the only other recorded car on track for fourth. Mitchell Rooke rounded out the heat races with another visit to victory lane in the Singleton Racing 3Q ahead of Brock Dean in second and the 35q of Callum Walker third, Scotty Doyle, Brad Dawson, Zac Macdonald, Bodie Smith and Cal Whatmore Jnr were all scored as finishers on lap 8. Scotty Farmer brought on the yellows after looping the 22Q Spike in turn 4 early just as Bodie Smith departed with 6 down after riding a wheel into the very fast turn one while it was a fast series of flips like the Clauss crash Bodie headed back to the pit area as the car rode the tilt tray. Farmer and Doyle had a coming together in turn 4 which resulted in Doyle resting the John William Auto Sales Boss 89A on its side once righted both cars headed infield and no longer took place in the race by now Whittaker was hounding the rear of the Harrison car. It was with 12 to go the 21Q car headed infield when his ride wouldn’t take throttle any longer as Chris Singleton was on a charge from deep in the field however he had the Rooke and Dawson cars in tow as all three were at one stage battling for third place supremacy this played into the hands of Walker and MacDonald as they both closed in very fast Tony Stevens ended his run on his side with 6 to run , Riki Harrison tried to move the tractor tyre off turn 4 and ended up bringing on the yellows again, at the restart Singleton got past the 89Q Whittaker car after a slight bobble off turn two and the trio ran to the flag in that order. Mitchell Rooke crossed in 4th, Brad Dawson in 5th, Zac MacDonald in 6th, Callum Walker 7th and Cal Whatmore Jnr rounded out the eight finishers. 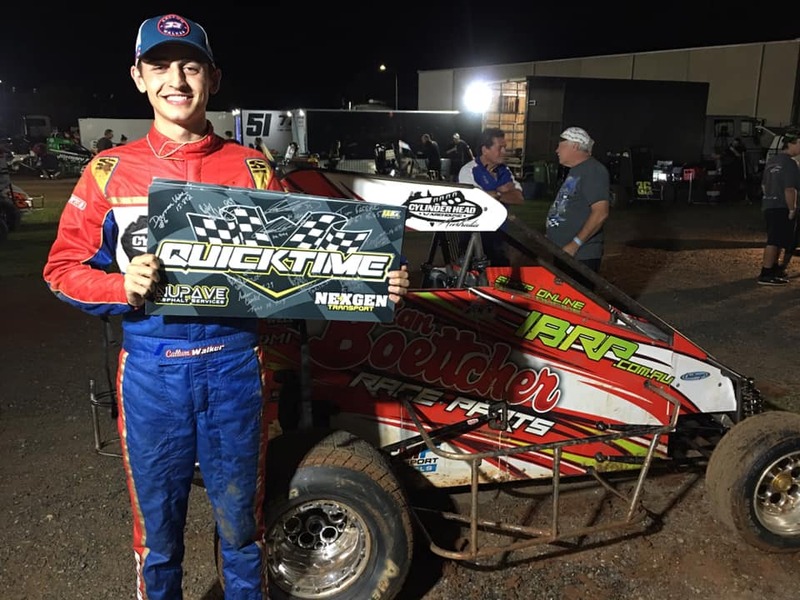 As mentioned Callum Walker picked up the nights Nexgen Nupave QuickTime Award while Mitchell Rooke scored the Revolution Race Gear Sunshine Coast “Lucky4th Place” voucher. Notable mentions must go our new Polar Ice Champion Rusty Whittaker for claiming crown number 2 also to Zac MacDonald on 6th in the feature in the very pristine looking and performing Warren Walker 23Q Spike as well as the two big flips by Tom Clauss and Bodie Smith. 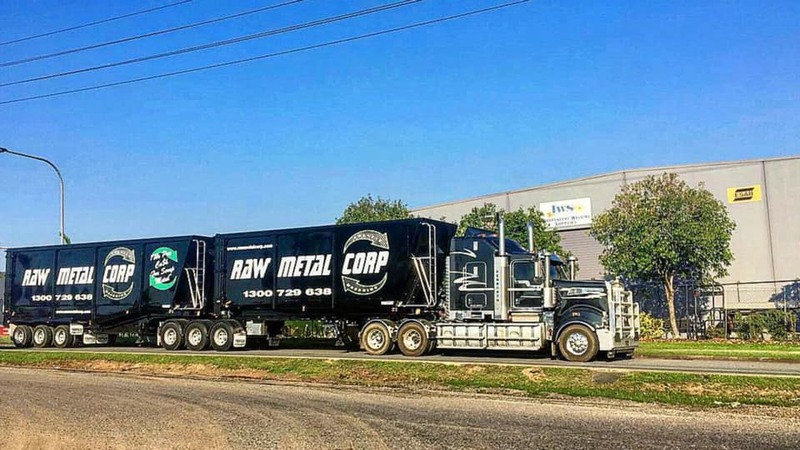 The next outing in Queensland will be the RAW Metal Corp Two Track Challenge this Easter weekend kicking off at Archerfield on Easter Saturday then backing up Easter Sunday in Toowoomba, Nominations are flowing in for these two nights so if you are wishing to run please let Brock Dean know ASAP. There is no tyre rule, no club points or nomination fee on these two nights. Nominations are now also open for the Nexgen/Glenn Wright Painting BNE 50 Lapper as well this event is back at Archerfield on May the 11th and showing excellent interest from interstate cars , All the laps are sold as well as 4 heat races at this stage depending on the nomination car count there may be more heats on the night. This weekend race fans we return to the home of Speedway in Brisbane, Archerfield Speedway for round 10 in the Polar Ice Midget Series. With another stellar field of Midgets set to let rip on the track this round number ten is in fact the penultimate round in the 9-year series. 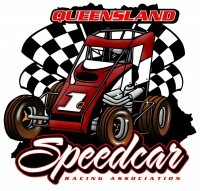 The Nupave/Nexgen Quicktime is back ,The Revolution Race Gear Sunshine Coast “Lucky 4th” Place is back and if 16 cars field the feature the Bob Baker Challenge is back !!! There has been a huge repsonse to the proposed two night show at Archerfield and Toowoomba over Easter so here it is !! Saturday the 20th of April we head to Archerfield Speedway for night one, Sunday the 21st will be the final night up the hill at the Toowoomba Speedway. Both nights will be as per a Polar Ice Round (Time trials, two heats each and highest points scorer to P1) and a feature event both nights with $1250 to win !! Shut the gate let em race !!!! 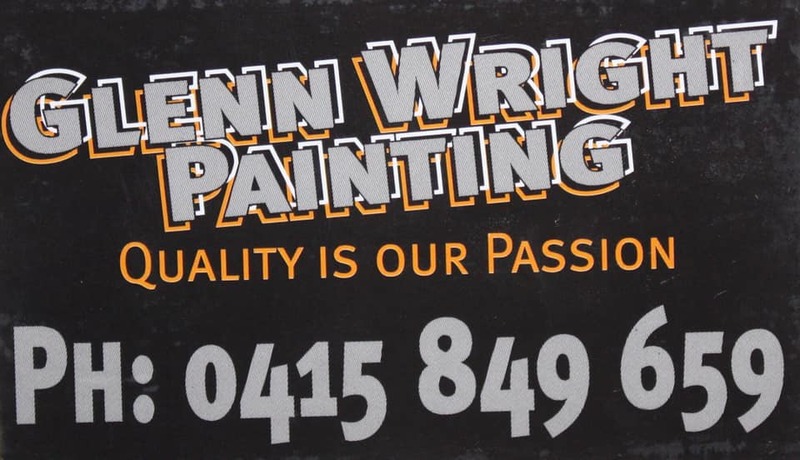 This seasons NexGen Transport/Glenn Wright Painting BNE 50 lap sponsorship is open !! With just on 55 days until the event the laps are ticking away already so if you are interested in sponsoring a lap/s please let Sid Whittaker know on 0418 726 226. PLEASE USE THE LAP OR LAPS YOU SPONSOR AS THE REFERENCE. (eg) Flash Lube 16 or if you sponsor more than one lap please do them individually Flash Lube 16 , Flash Lube 28 etc. NO CASH WILL BE ACCEPTED FOR THE SPONSORSHIP EITHER BEFORE OR ON THE NIGHT AND PLEASE PRINT YOUR RECIEPT OFF THE BANKING TRANSFER FOR YOUR RECORDS. The lap sponsors will also be advertised before the event if all sold at local Archerfield rounds as well as on the night of the 50. Scotty “the fish” Farmer proved far too slippery for the rest of the field on Saturday night in round 9 of the polar ice series. It will go down as one of the best feature races this season, there was some great battles playing out across the whole field, racing was fast and the track had a fast top if you dared and a hooked up low line too. 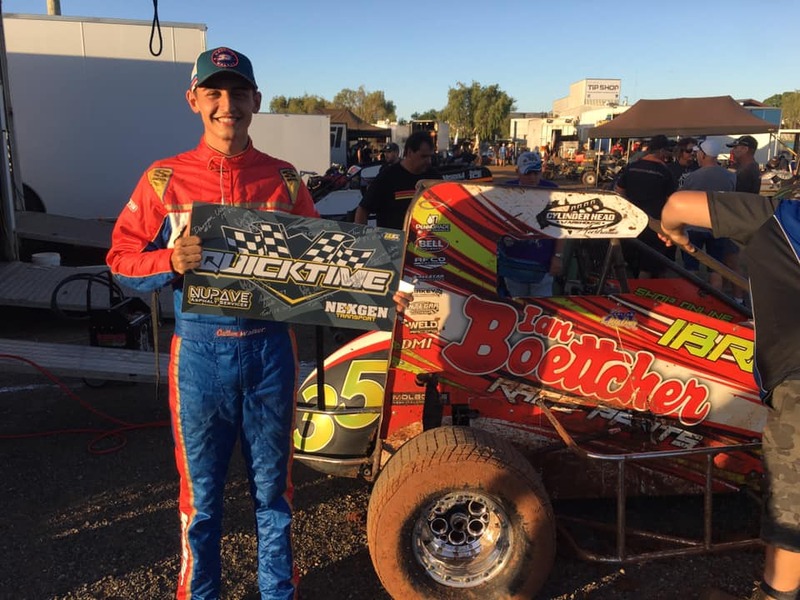 In time trials it was Callum Walker driving the Ian Boettcher race parts Q35 who took out the Nupave/Nexgen quick time with a 14.024 edging out Scotty “the fastest fish on land” Farmer by .034 of a second.. (That’s a margin more accurately know as a bees… uh wing..) With less than half a second separating the top 6 it was definitely building towards a great night of racing. In heat 1 it was Darren Vine that got the win in the Q6r, Rusty “the gas man” Whittaker in the Q89 in 2nd and grabbing 3rd was young gun Bodie Smith in the SBR Q77. Special mention must go to the Q81 with B’rad Dawson who drove one of his best heat races of the season, Dawson finished 4th but managed to lay down the fastest lap of the heat, keep it up B’rad and remember keep your hands inside your ride at all times. Heat 2 saw the Q8 of Brock “the king” Dean cross the line in 1st, followed closely tho by Scotty “Fisher” in the Q22, Tim Farrell came home 3rd. A quick shout out to Tommy Clauss who showed great pace early, unfortunately did get the result he was looking for but has improved every time he straps into the Q45. Heat 3 was another heat win for Vine, 2nd was the fastest Fish on land Scotty Farmer, and 3rd was the Q77 of Smith. Although Vine got the win it was Farmer who was once again setting fastest lap in the heat by almost half a second. Heat 4 it was Tom Clauss who got the chocolates (it’s just phrase Tom so don’t ask me for chocolates next time you see me), Bradley Harrison grabbed 2nd place and Callum Walker in the Q35 was home 3rd. Unfortunately mid-way through this heat the red lights were on after Whittaker Dean and Whatmore Jr were fighting for the same bit of dirt, it was like three seagulls and 1 chip, all three DNF the heat due to slight damage. 15 cars started the feature and it was the Q22 of Scotty “the fish” Farmer getting the win, with a clinical display of driving and showing how all the experience he gained from racing in NZ earlier this season is invaluable as Callum Walker drove an incredible race finishing in 2nd place. Walker was sticking the Q35 right along the fence on the high line the whole race and looked at ease in the car. It was great to see Callum back in a midget and more importantly fit and well again. After taking the early race lead Darren Vine finished in 3rd place. Vine persisted on the low line and done a great job to hold of strong challenges from Dean on the high line and Whittaker on the bottom. Dean finished 4th just edging out a fast finishing Whittaker home in 5th place. Tonight’s Nupave/Nexgen QuickTimer with a 14.024 is Callum Walker !!!!!! Polar Ice is back this weekend race fans !! After the weekends feature event in Toowoomba being our first and hopefully last rain out it’s all systems go for this coming Saturday the 9th. Catch you all trackside ! 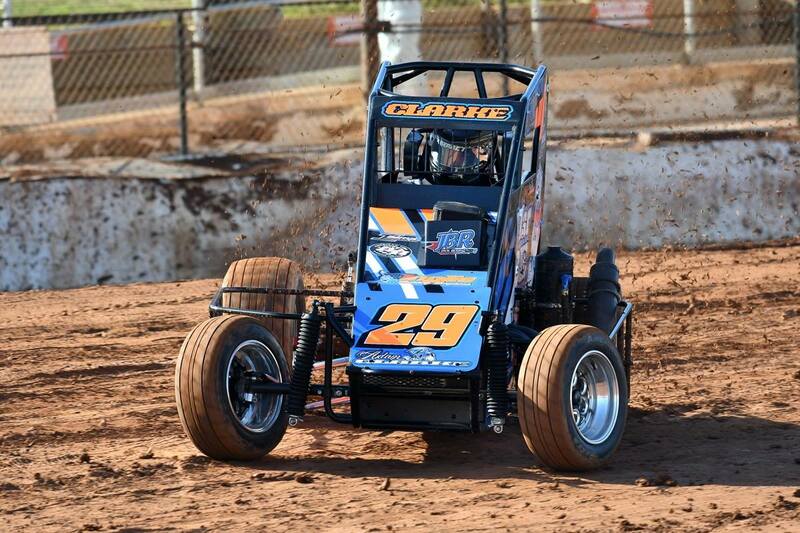 Adam Clarke and the Polar Ice Jbr Racing Qld team took the win last night at valvoline raceway!